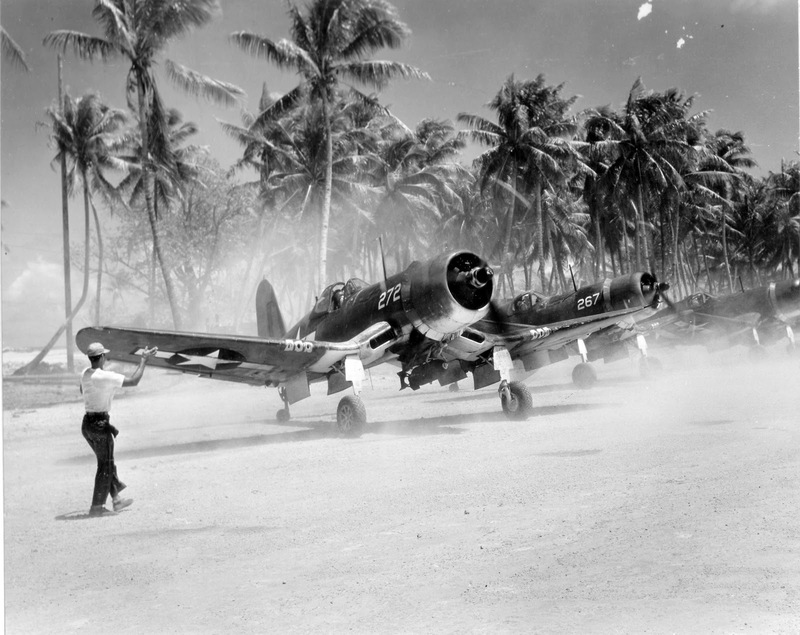 » US Marine F4U Corsair fighter kicking up the dust on its way to the runway at Majuro, Marshall Islands, 1944-45. This photograph has been scaled down; full resolution photograph is available here (1,600 by 1,270 pixels). Battleship Arizona burning and settled on the bottom as seen from Ford Island, Pearl Harbor, Oahu, Hawaii, Dec 7, 1941.